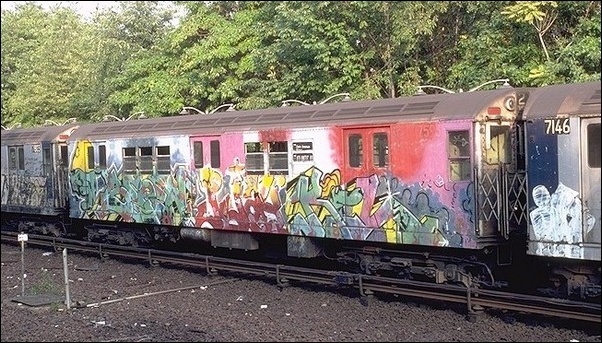 In the early 1980s, budding NYC photographers captured the graffiti art spray-painted onto subway cars that traversed the city. They'd wait to set up shots. Pull emergency levers to stop trains, buying time with their cameras and the fresh paint. It didn't matter that these 'photographers'? 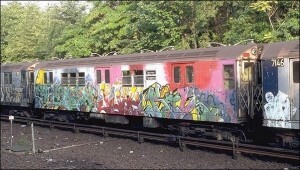 were just kids or that the graffiti they worked hard to capture would soon be painted over by MTA workers. That's because the kids snapping photos and the artists who 'bombed'? trains were all interested in the same thing: Capturing something meaningful, ephemeral. Fast forward to today. Many of us are on Instagram taking photos of the seemingly mundane: what's for dinner, our evenings out, our kids'?¦ and ourselves (a lot of those). While it may seem silly to compare a 'selfie'? we post on Instagram to the photographs of graffiti from the 1980s, I would argue that these two phenomena actually have a lot more in common in terms of human motivation than we think. And looking at how they're connected will sketch a roadmap for the unfolding digital landscape. A photo of artwork we like. Our reflection in a window. The frothy cappuccino you had at lunch. They're not exactly graffiti on subway trains, but they're the fleeting moments of our ordinary lives that connect us to people and practices'in other words, 'culture.'? By snapping a photo, you contribute to the macro-level conversation about a given topic, make your voice heard, and accrue status accordingly. It makes sense then that Instagram and Facebook serve as a way of building your identity and social status. It's a way of telling the world, 'I recognize this as something important, and therefore, I belong.'? And those are a couple of the underlying utilities of social media'to be known and to belong. It doesn't matter that your post is irrelevant in 24 hours. All that matters is that you caught a piece of life that was meaningful to you in some way, even if it was about to get painted (or posted) over in time. When teenage photographers pulled the emergency lever on subway cars so they could take more photos of graffiti, they were taking part in the same practice. The modern day obsession with Instagram is motivated by that same impulse: to hold down a moving piece of time and claim it as part of your experience. The implications of this new, rapid-fire digital landscape have been discussed ad nauseam, yet advertising professionals still need a call to action'what are we supposed to take away from this paradigm shift? How has this technology changed the way we express ourselves, and what do we do with that dialogue? The answer becomes clear when you look at specific situations and examine human behavior over time. When we do this, we begin to see the truth of human experience. We begin to see that the graffiti-capturing teens of the '80s aren't that different from the ordinary folk who post pics on Instagram. Maybe we share too much now. Maybe not. Regardless of how you feel, it's changing our high-level cultural dialogue about everything from brands to what you wear to work each day. For advertisers, this is a significant shift in engagement with consumers. Brands want to get in on the conversations we're having. The age of big campaigns with long runways is coming to a close. Today, creative content and effective strategy requires a much shorter incubation period than ever before. Quite simply, when our feeds are moving as fast as our brains (and vice versa), content needs to keep up. In the new digital landscape, brands are judged on their capacity to create authentic content for their followers. A brand's ability to do this well leads to the accrual of social currency. That currency buys engagement. When you do this well, consumers ultimately include you in the conversations they're having. Listen, this isn't as dirty as it sounds. Let's suspend cynicism for a moment and consider this: Engaging with consumers as part of conversations they're creating means we can potentially elevate and diversify human experience to a new level. To put it simply, we'll have the power to open up the world to more human perspectives than ever before. Where this will take us is anyone's guess, but as advertisers, we need to be prepared to take the ride.